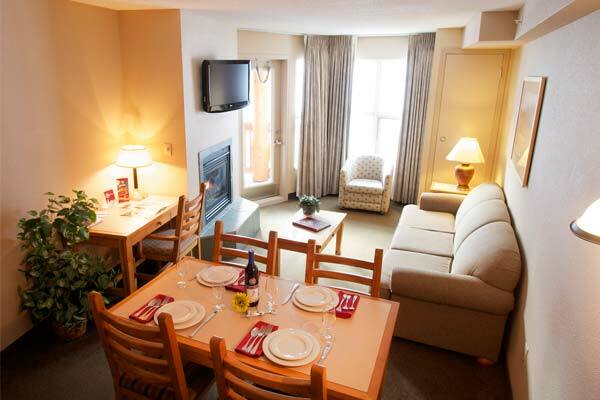 Trickle Creek Lodge is the premiere ski-in/ski-out and golf-in/golf-out property with great rooms and guest suite views of the Rocky Mountains or Kimberley Alpine Resort’s ski slopes. 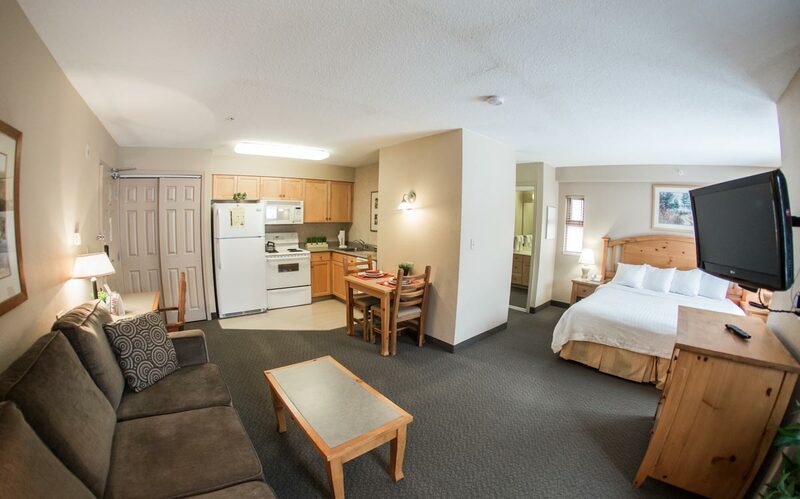 Studio Suite includes a king bed and pullout sofa bed. One-bedroom Suite includes a private bedroom with a king bed and pullout sofa bed in the living room. 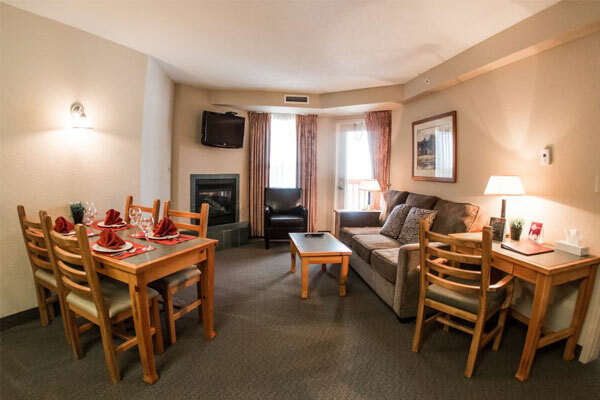 Two bedroom suite includes a king bed in one room, a queen bed in the other room and living room with a pull out sofa bed.